Is dental anxiety making dentist visits for your child a struggle? Dentophobia (the fear of dentists and dental procedures) is a common fear shared by many, including young people. About 20 percent of children aged six to 12 years old are frightened by dental appointments. If not addressed, dental anxiety can interfere with a child from receiving the care s/he needs to have a healthy mouth. 1. 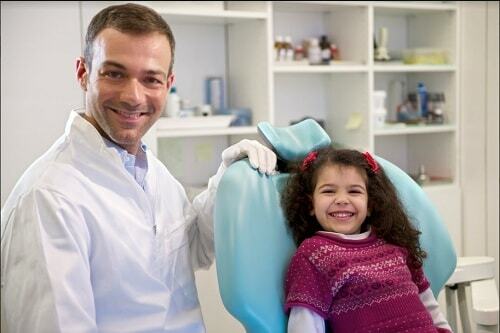 Educate them – Before every appointment, devote time to talk to your child about what will happen at the dentist. Informing your child about the visit in advance allows him/her to prepare mentally, and can alleviate concerns. 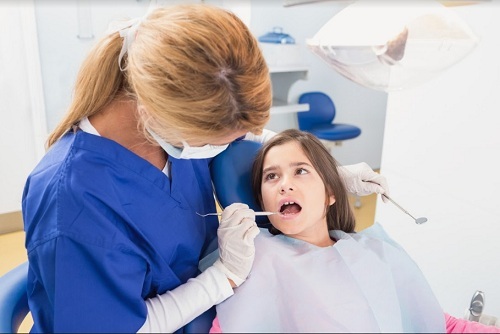 Avoid teasing about the child’s fears; a study on dental anxiety among children and adolescents reveals that careless statements about a dental procedure (e.g. joking about tooth extraction) can encourage negative behaviour in a child, like aggression and resistance during the treatment. 2. Remain calm – Prepare yourself to maintain a calm attitude during the visit. Keep your cool even if s/he has a tantrum, or shows signs of restlessness like whining, fussing, and wiggling. Your response to the situation (with words, tone of voice, facial expression, and gestures) influences the views and attitude of your child. Do your best to have a soothing demeanour and assist your child however you can. 3. Don’t use bribes – Offering your child elaborate gifts after every dental appointment can reinforce the idea that such visits are unpleasant. Bribing diverts a child’s attention from appreciating the importance of dental care and places focus on rewards. A small treat for being cooperative (before and during the appointment) is acceptable, but try to focus on the fact that regular checkups are an important part of maintaining our overall health. 4. Stay in the room – A parent’s presence in the room is an essential to keeping a child at ease during a dental procedure. During a checkup, filling, or tooth extraction, reassure your child with your presence. Have a conversation with both with him and the dentist; hold your child’s hand if s/he wants it. 5. Teach them about health – Early teaching about the value of oral health allows a child to appreciate dental visits. Show the basics of keeping teeth healthy like brushing after meals, flossing, and eating healthy. Reading a kids’ book about visiting the dentist can help form a positive attitude toward dental appointments. By modelling good oral care habits yourself, you set a good example as well. Your role as parent is vital to help your child overcome dentophobia and establish habits that promote the heatlh of their mouth and body. Practice these tips to help your child eventually develop a positive attitude toward dentist visits. Looking for a reliable partner in giving your family a healthy smile? Dr. Mark Rhody Dentistry in Etobicoke is here to help. We provide a caring, comfortable environment and believe in putting you and your children at ease. Call us today at (416) 231-4281.